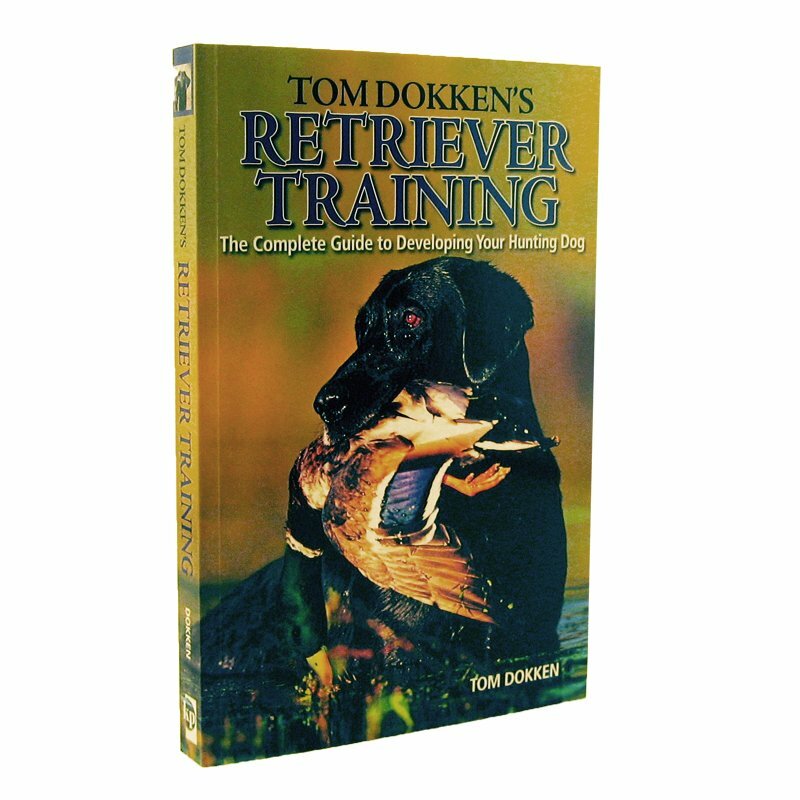 Tom Dokkens Retriever Training Book - The Complete Guide to Developing Your Hunting Dog. $19.99. Today we're looking at the Tom Dokken books and DVDs. This is something that I waited for, for a long time, and Tom has got them released. They came out this year. And they are awesome. It is a very complete method and it's very step-by-step. And it's easy for anybody to understand. Tom's method just makes a lot of sense. It's something that was developed over a long period of time. He's worked with a lot of dogs. And it just covers things the way that I like to see them covered. The best thing about it is that it's incredibly affordable. The videos are $15 apiece. So you've got a puppy, an intermediate, and an advanced. And then you've got two books that are around $20 apiece. We've worked with Tom for years. Tom developed the Dokken dead fowl trainers. So it's something that we've been selling for a long time. We've been talking to him for a long time about putting about a training method. So it's something that we've really been waiting for. What I like about it is that it's broken down in real simple steps. You can buy it as you need it or you can buy it all together. And you've got the advantage of having a book and a DVD that have the same methodology behind them, and that's hard to do. A lot of the books that we sell don't have any sort of videos that come along with them, and a lot of the videos we sell don't have a book. So, depending on how you learn, you've got everything covered. I just like Tom's method. It's set up for hunters. It's got e-collars. It teaches everything that you need from start to finish. If you want a dog that is a pleasure to hunt behind, this is a really great method to use. We highly recommend it. It's satisfaction guaranteed. If you are not happy with it we want it back. I can't say enough nice things about it. It's a wonderful collection and I highly recommend it for your retriever and your upland flushing dog. He covers both. So if you are looking for a method that's going to be easy to work with and give you a dog that you are real happy with in the end, check it out: Tom Dokken Retriever Training. "Tom gets that every dog is different, and tells the best way train your hunting partner"
"The early chapters are extremely helpful, being able to know what I should be expecting from my pup, and what we should be covering." The early chapters are extremely helpful, being able to know what I should be expecting from my pup, and what we should be covering. I'm a fan of Tom's and Chris Akin, also. Tom's book, and Chris' DVD, are a GREAT combo to train any dog! "Excellent. Straight forward, easy to understand, and results oriented." An excellent book to add to your training library. Straight forward, easy to understand, and results oriented. Dokken's new bumpers are excellent tools to go along with the Dokken birds! 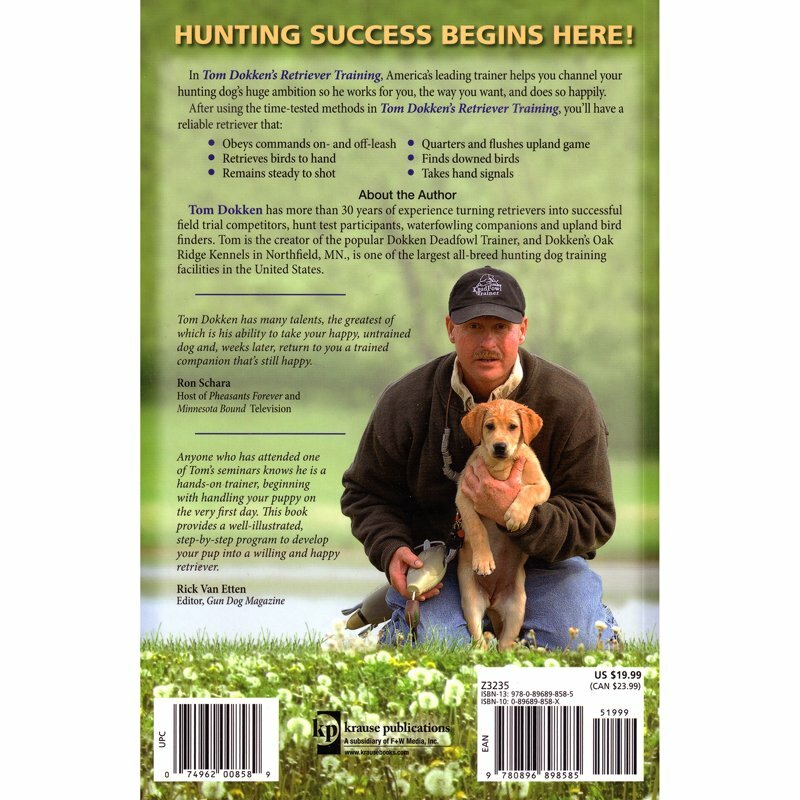 "I have gone back to this book many times as a reference while training my two retrievers." I have gone back to this book many times as a reference while training my two retrievers. The information within is very valuable, whether you are going to train a dog yourself, or get one started before formalized training by a trainer begins. It will be money well spent by anyone that wants a well trained retriever. I have a number of Dokken products, and they are all top quality. "I would recommend this book to anyone who is just starting out with a retriever pup." I would recommend this book to anyone who is just starting out with a retriever pup. It's very detailed. "It was a gift for my son. He is very happy with this book. Very useful for him." It was a gift for my son. He is very happy with this book. Very useful for him. Awesome step by step plan. Great supplement to the videos! Well done. Using Tom's training techniques to FF train my GS pointer pups. Also like and am using his place training technique to help with future line and blind retrieves training. He seems like a real hands on trainer using conditioned response and pressure on then pressure off. I am a fan. "I would definitely recommend this book to anyone training their dog for field, water, or just obedience." The book is a very informative book for training at any age or any level you wish to pursue. I would definitely recommend this book to anyone training their dog for field, water, or just obedience. 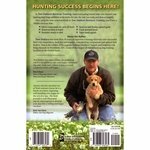 "Very good introduction for a puppy who is planned to be a hunting dog"
Very good introduction for a puppy who is planned to be a hunting dog. Both the book and especially the DVD. Book is very helpful. Goes over the whole training process from puppy to finished dog. Awesome Book! A must have for the newer dog trainer! "Great tool to have on your shelf." Great tool to have on your shelf. "Really like the book and received it really fast"
Really like the book and received it really fast. Something like two days! "Great book. Easy to read, and easy to train from." Great book. Easy to read, and easy to train from. I like the book it is nice and straightforward. My main issues with the book come from the difference in age of when my puppy started training. I got my dog at 14 weeks a full month behind where this book starts. Other than the date descrepiancies that I am having, it is a great book. Plus the pictures are great, I will also point out YouTube has a few dokken videos to see how a few of the exercises are supposed to go. "Broken down between different ages of your puppy. Fun to read." Very user friendly and fun to read. I really like the way the book is broken down between different ages of your puppy. "Excellent resource. Clear, concise and extremely helpful." Excellent resource. Clear, concise and extremely helpful. "Working very well for me." "I have done what Tom has said to do in the book, and everything has worked great." I have done what Tom has said to do in the book, and everything has worked great. Good, basic information. I agree 100%. You do not have to hurt your dog to get him to obey. Except, I never force retrieved trained any of my dogs. Never had one yet fail to pick up a bird, stick, rock, turtle, etc. "What I liked about this book is that it didn't just cover when you got the dog, but rather started at the process of when you're thinking of getting a dog." What I liked about this book is that it didn't just cover when you got the dog, but rather started at the process of when you're thinking of getting a dog. The book goes into things such as what to look for in picking a pup, puppy-proofing your home, etc. The instructions and illustrations throughout the book are also helped when going through the training routines. I also like the doggy first aid in the later chapters. "Every topic covered was well described with detailed pictures." Every topic covered was well described with detailed pictures. The amount of topics covered was a little thin. Helps you channel your hunting dog's huge ambition so he works for you. Tom Dokken has more than 30 years of experience turning retrievers into successful field trial competitors, hunt test participants, waterfowling companions, and upland bird finders. Tom is the creator of the popular Dokken Deadfowl Trainer, and Dokken's Oak Ridge Kennels in Northfield, MN, is one of the largest all-breed hunting dog training facilities in the United States. Tom Dokken has many talents, the greatest of which is his ability to take your happy, untrained dog and, weeks later, return to you a trained companion that's still happy. Anyone who has attended one of Tom's seminars knows he is a hands-on trainer, beginning with handling your puppy on the very first day. This book provides a well-illustrated, step-by-step program to develop your pup into a willing and happy retriever.